Today, as the sun and the heat were back in Paris, the kids and I decided to go and have lunch by the river in order to make the most of our day. And now that the banks have been redesigned, there are large tables on the edge of the Seine. It's just perfect to sit with family and friends. 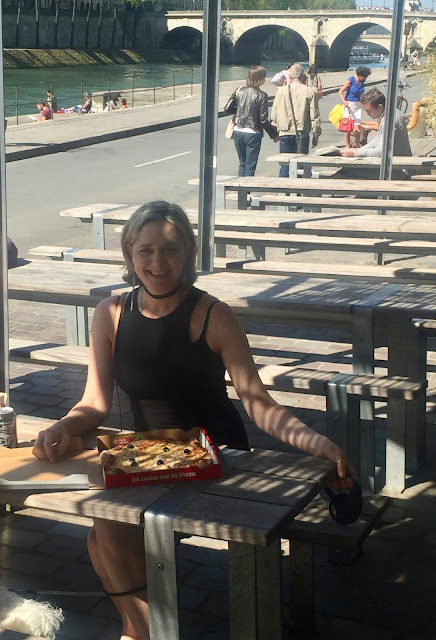 In such cases, what we love to do, is to go and buy delicious pizzas at the nearby La Cerise sur la Pizza and take them away to the banks of the Seine. 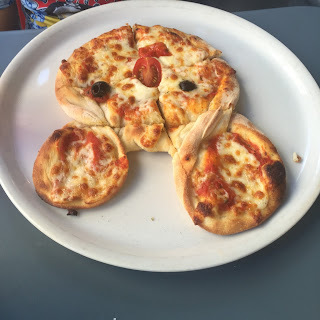 This tiny pizzeria makes lovely pizzas out of high quality fresh ingredients. There is a large selection of toppings and everything is just yummy. And for young kids, the pizzaölo makes pizzas in the shape of a Mikey. It's so fun.